n00b at this.. thanks in advance for your patience. I had an app review for Facebook. It says I am using things like user_gender, which I do not request via OneAll. I really don't care about the user's gender (and the other items it says I am requesting). It does not seem possible to turn this off from the Facebook end, and OneAll says i'm not requesting it. yes, if you are using an older Facebook app, then it was "proactively queued". Older apps in fact never had to pass the review, even if they requested additional permissions. 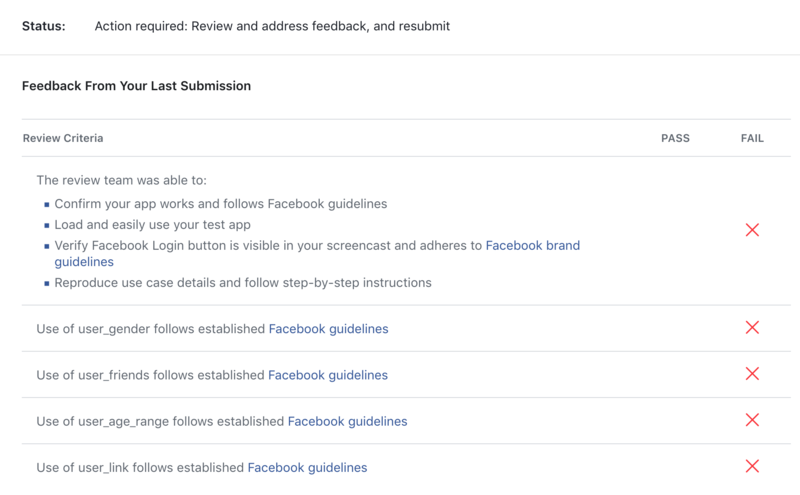 Recently Facebook pushed all those apps to the submission queue. If you do not need the additional permission then you can ignore the submission. 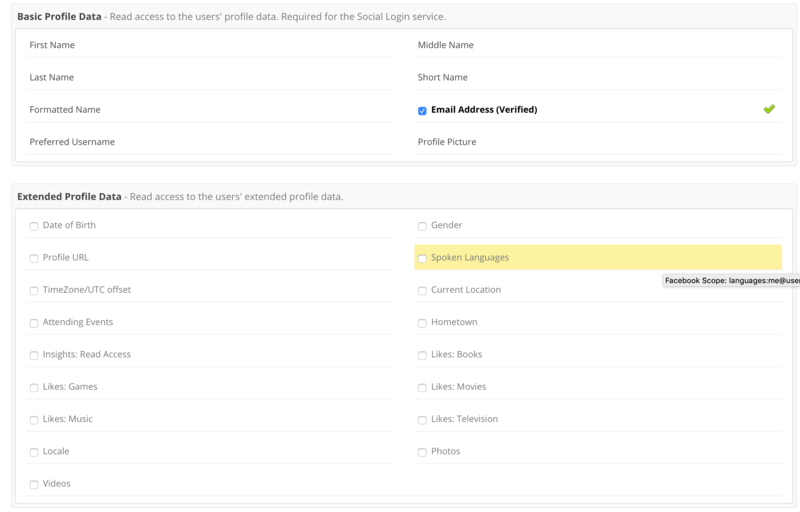 if you do not need any additional data (besides firstname/lastname/email) then you do not need to do an app review. These fields are included by default. Thank you, Claude. I did not ask for the review, I was "proactively queued." The results came back like this..